Book Review Louis Faurer By Louis Faurer Reviewed by Blake Andrews Nevertheless, at his peak, Faurer was a brilliant photographer, widely respected by peers. Steichen called him "a lyricist with a camera," and none other than Walter Hopps thought he might be the central figure of American photography in the period 1940 to 1955. Louis Faurer By Louis Faurer. Steidl/Fondation Henri Cartier-Bresson, Paris, France, 2016. 208 pp., 100 black-and-white illustrations, 6¾x9¼. Poor Louis Faurer. If there were any justice in the photo world he might be as well known today as his former studio-mate, Robert Frank. But as it is, he's remembered as a second tier photographer if at all, his legacy mostly lost amid the glut of other mid-century humanists. It hasn't helped that he never published a monograph during his lifetime, or that his gritty style of streetwork careened increasingly toward the personal, and away from straight documentary. So he was working uphill to gain recognition. That's if he'd bothered. Instead, he followed his own muse, ditching the U.S. mid-career to live and work in Paris and Montreal, cementing his outsider status. By the time he returned to America in 1974 he'd been largely forgotten. What followed was an erratic succession of career boosts —an exhibition at Marlborough Gallery, an NEA Fellowship, a Guggenheim— interspersed with generally dimming prospects. Being struck by a car in 1984, an event that hobbled his photography, was perhaps the final nail in his reputation's coffin. Louis Faurer By Louis Faurer. Steidl/Fondation Henri Cartier-Bresson, 2016. Nevertheless, at his peak, Faurer was a brilliant photographer, widely respected by peers. Steichen called him "a lyricist with a camera," and none other than Walter Hopps thought he might be the central figure of American photography in the period 1940 to 1955. But one needn't take their word for it. A little while spent with his photographs should convince any doubters. 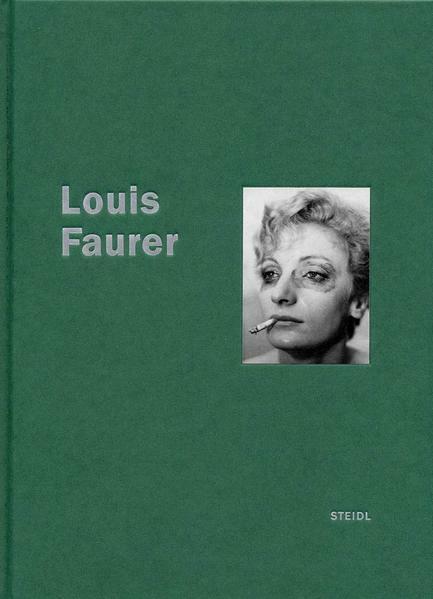 The recent Steidl book Louis Faurer is as good a place to start as any. This concise retrospective of Faurer's best years is an exhibition catalogue of sorts, published in conjunction with last fall's show at the Fondation Henri Cartier-Bresson in Paris. But unlike some exhibition catalogs, this feels less like an afterthought than a well-conceived monograph. In fact, it's very close to the book that Faurer should've made during his lifetime but never did. After introductory passages by Susan Kismaric, the aforementioned Hopps, and Faurer himself, a selection of 93 plates follows in roughly chronological order. For those already familiar with Faurer, many of these images will already be recognizable, but there are enough new images to keep everyone entertained. Most are shown on one side of a double page spread, facing tiny captions on the opposite page. Every so often a photo pairing across one spread breaks the pattern. This is a smallish book to begin with, and after each photo is given a healthy breadth of whitespace, the resulting reproductions are downright intimate, in the range of 4 x 5 inches apiece. While some photographers would suffer from scaling down, Faurer seems like a tailor-made fit. The diminutive quality recalls a former era before photographs had grown wall-sized. The reader is forced into close engagement, and the images reward that attention with revelatory fidelity. The photographs are selected from the late 1930s through the early 1950s. These years encompass the post-war period when Faurer moved to New York in 1947 and spent every day for the next few years shooting the streets. The constant activity honed Faurer to peak awareness, an intensity which comes through in the book's opening lines: "I have an intense desire to record life as I see it, as I feel it. As long as I’m amazed and astonished, as long as I feel that events, messages, expressions and movements are all shot through with the miraculous, I’ll feel filled with the certainty I need to keep going. When that day comes, my doubts will vanish." In New York he was a man on a mission, but the book takes its time reaching this period. Instead, it traces his development carefully through earlier photos made in his home of Philadelphia. These are competent yet somewhat ordinary, but Faurer was only getting started. His vision progresses quickly through the book's middle pages. By the time it's at full power, a section of roughly forty photographs in the book's latter half, the reader is wired to receive. By this point —the late 1940s— Faurer has harnessed the many tricks and quirks that set him apart: sandwiched negatives, reflections, misexposure, blur, a mastery of available night lighting, a nose for the offbeat. Faurer blended these elements into a peculiar visual stew with a decidedly personal edge. A photograph taken in 1948 in Pennsylvania Station captures an intimate moment with the casual nonchalance of a poet. Another, out the back of a city bus the same year, has the impression of a slideshow on a dark curtain. The fencing of a construction site bewitches with its formal grace. Photos like these suggest that the further he ventured into New York, the more Faurer bent toward inward exploration. This was perhaps the thing that set him apart. For, while most of his colleagues were caught up capturing New York and the world, Faurer was expressing something internal. As Kismaric notes, it wasn't until 1967's New Documents show that a more personal tone would move to the documentary fore of the art world. If Faurer was early to the party, he didn't seem to mind. His New York photos have an understated, poetic quality, which could only have been made with blinders on.